UPDATE: Marco pulled Peace from the App Store today. Such a shame but I get it. I’ve been following the debate lately about the ethics of using content blockers. The argument falls on two sides, those serving and hosting ads and the rest of us that are tired of all the junk loaded in our web pages. The average user browsing a web page is often faced with a barrage of ads and popups all while being tracked with every click they make. Think this isn’t really a problem? Visit the CNN main page. How many different mechanisms are either tracking you or serving an ad? The introduction of iOS 9 gives users the ability to use content blocking on their mobile devices too. Developers have stepped up right away and given users good add-ins. One such content-blocker is Peace, which uses Ghostery data to do it’s job. Peace is developed by Marco Arment. Today, I’m launching my own iOS 9 content blocker, called Peace, to bring peace, quiet, privacy, and as a nice side benefit ludicrous speed to iOS web browsing. This is really a game-changer. It’s not the only content blocker, there are a ton. This one uses Ghostery which works really well, so this is at least a solid place to start. But Peace uses the Ghostery database, and Ghostery includes The Deck. It’s classified as Advertising, and even though it’s far nicer than most other entries in the category, it’s fair to call it advertising. Obviously traditional advertises and tracking applications appear to be on the losing end of this wave of content blocking add-ins. The problem is, consumers aren’t respected..tons of trackers and advertisements are forced upon us. I don’t mind ads from networks like the Deck, they are very tasteful. Tasteful, unobtrusive should be the goal of advertisers. Ad networks need to rethink how to make this work, take lessons from those like the Deck. Many people are not happy with content blockers, calling them unfair. What’s unfair unknowingly being tracked and advertisements in our face. Two thumbs up for the content blockers. 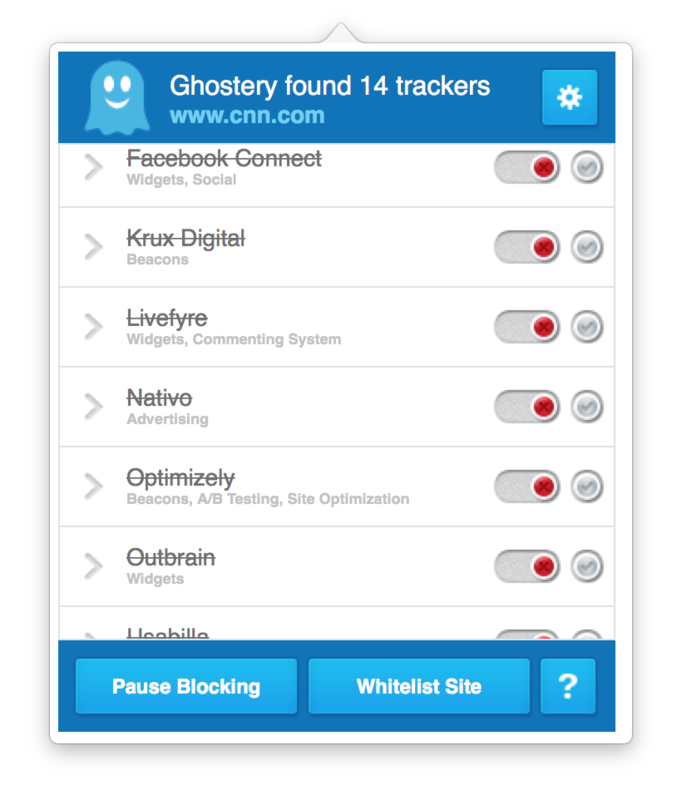 Go try Ghostery and Peace and see how your web experience improves. Each seemed to work well at first but after a short time their weaknesses surfaced. I was able to return the Matias but I have a pile of lackluster keyboards. I used to love the original IBM PC keyboard. You know the one, it was loud and had a very responsive feel. I knew when I was pressing a key, no doubt about it. The feedback is fantastic from the IBM keyboard but those are a thing of the past. Apple once made a keyboard very similar the one from IBM, but those are also a thing of the past. I understand you can still find them from time-to-time on eBay. I remembered a post by Jeff Atwood where he talked about his dissatisfaction with keyboards, the solution?create his own. I never thought of creating my own but since Jeff is a developer, then maybe his wants were similar to mine. The result is The Code Keyboard. The keyboard is actually manufactured by?WASD Keyboards, a company known for great keyboards with very flexible configurations. This keyboard is HEAVY. It feels like the IBM PC keyboards of old. A solid, beefy and well-built keyboard. The CODE website says it weighs 2.42 pounds, but I don?t know which version it refers to. 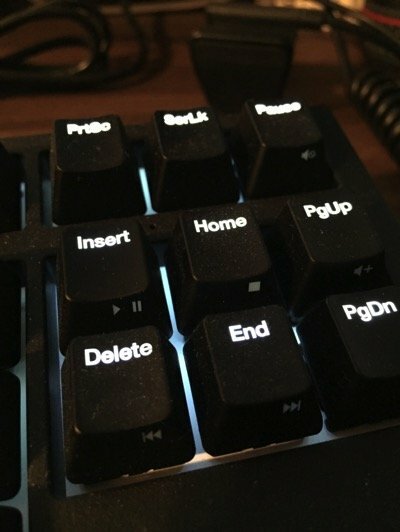 Ultra-rare Cherry MX Clear mechanical key switches are the heart of the CODE keyboard. These switches are unique in the Cherry line because they combine solid actuation force with quiet, non-click activation, and a nice tactile bump on every keystroke. These hard to find switches deliver a superior typing experience over cheap rubber dome keyboards ? without deafening your neighbors in the process. The keyboard is backlit, which is really nice. It?s not a feature I required but after having it, I love it. It?s useful when I have the lights off in my office and I?m working. There are a set of DIP switches on the underside, used to control various functions; such as turning backlighting on and off, keyboard layout (QWERTY, Dvorak or Colemak) and Mac support. Mac support was critical for me when searching out a new keyboard. I hate having Mac support as a second-class citizen. I want the command key where it belongs, next to the space bar. This is easy with the CODE, just a DIP switch change. The only problem, now the Alt key is in the wrong spot. 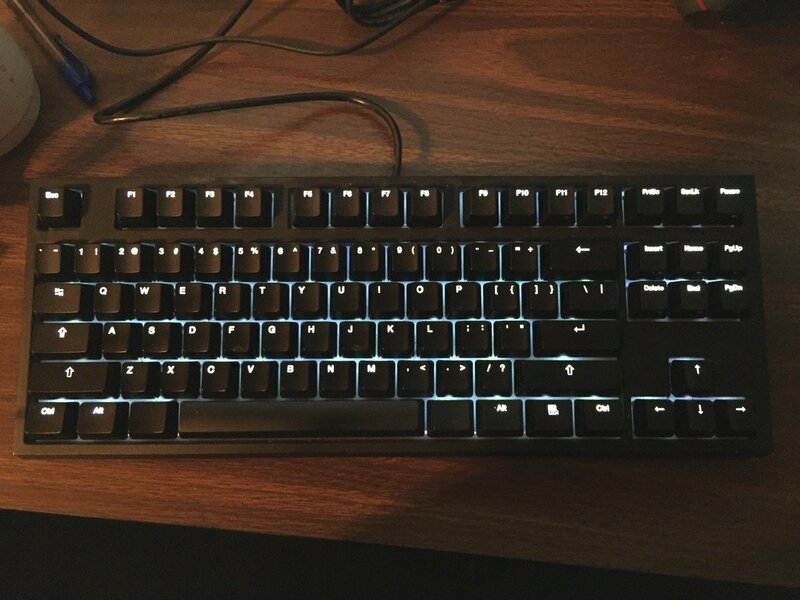 Thankfully WASD has take care of this for us, they include a keycap puller in the box that allowed me to easily swap the keys I needed. ?Really nice touch. WASD also offers replacement key sets in various colors and custom key sets such as the Mac command key and others. I found them to be a bit pricey so I just stuck with what came stock. I?ve been using this keyboard for going on 3 months and could not be happier. I use this keyboard for writing software as well as my daily writing, emails and Twitter. It?s not ergonomic and I wondered if it mattered. So far, it has not mattered at all. The key presses are smooth, no binding, just nice press with tactile response and a clean release. This is how a keyboard should be?no mushy keys. For the same reasons I use an Aeron chair, spending money on a good keyboard is as important as any piece of furniture. A nice touch is the media keys on the far right of the keyboard. These keys allow me to pause and play podcasts in Instacast and control the volume. A really nice touch with great positioning. All the media keys are clustered together for easy reach, not spread out along the top of other keyboards. I?m hoping this keyboard lasts a really long time because I love using it everyday. You bet! This is a great keyboard. Considering the keyboards companies dare ship with their computers today it?s not really hard to make something better. ?The CODE is great, not just better. The price is probably what will keep people from buying it. At $171 delivered to my door it?s not exactly inexpensive but either are the other tools I use. A craftsman who has the best tools isn?t necessarily a better craftsman but at least he can?t blame his tools. If you?re in the market for a really well-built, durable Mac-compatible keyboard then you should at least consider this keyboard. I happen to have a 15 year old at home who insists on using websites and chat services that distract her from more important academic activities. The ability to apply some website filtering is a topic I?ve learned a bit about over the past few weeks. I can testify first-hand that the Internet can be a giant waster of time. Services such as ooVoo, SnapChat, Instagram and others can be fun to use and share with friends but can interfere with academic pursuits. We also found an increasing number of websites not family friendly. Having a conversation with a friend who was facing the very same issues, he suggested?OpenDNS. Surprisingly, I had heard of them. I decided to take a look at their free service level. Setup was really simple. 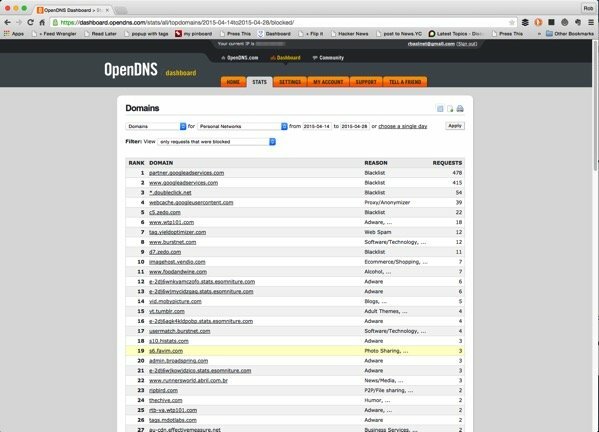 The first step is to switch from using Google DNS to OpenDNS name servers. A quick router change and we were switched over. OpenDNS has quite a few settings to restrict sites but nothing is turned on by default, so after switching name servers you really won?t be able to tell the difference. ?Name lookups seemed to be faster but that?s hard to measure. Visiting all the settings pages isn?t really necessary but good to see what?s available. The security settings are flexible with nice defaults. These are the defaults and I haven?t really seen a need to change these. Use a cable provider and have a dynamic IP address? No problem. Simply enabling Dynamic IP Update in Settings allows update of your dynamic IP address with the DNS update client. The client runs on your Mac or Windows PC and sits up in the toolbar just waiting for your Internet provider?s DHCP address to change. I love when I can just set it and forget it. It?s easy to set a variety of different levels of security. You can view and customize any level. I wanted control over the categories being filtered so I chose the custom level. It?s just as easy to pick one of the three levels (High, Moderate, Low) and just customize their defaults. 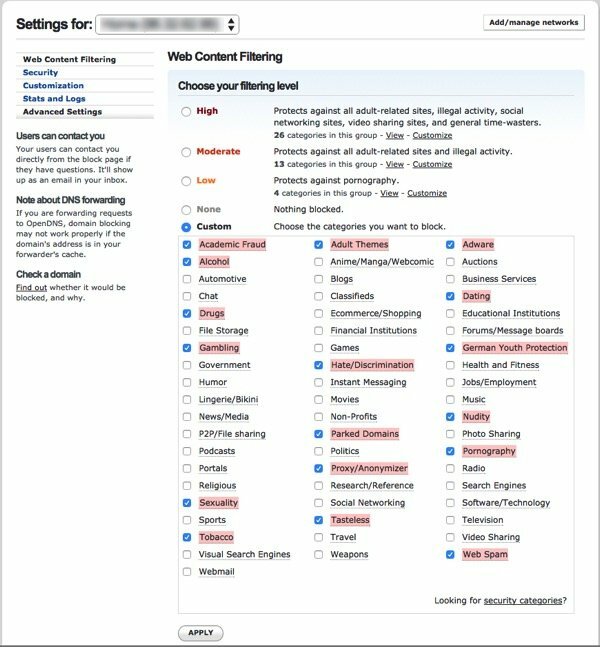 Filtering this way takes a big swing at generally offensive website categories. 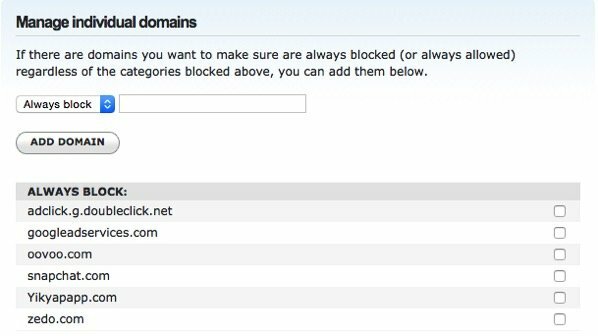 Since each category is a curated list of websites, this may result in some sites being blocked you don?t wish to be blocked and some not blocked that should be. 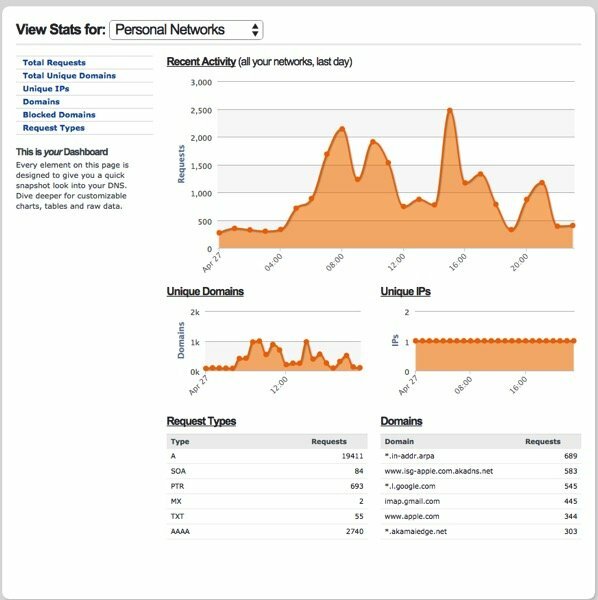 There is an easy way to take care of this ?Manage Individual Domains?. The ability to add domains not on the groups of websites defined by OpenDNS is really nice. You have the ability to add a list of specific domains you want to make sure no one can visit. You?d be surprised how many websites use doubleclick and googleleadservices. They get blocked and it feels pretty good to stop that bit of unwanted traffic. Have a website being blocked but you need access? No problem, add to the list of sites you want to never block. Very flexible indeed. What good is a service without stats? I can see the total requests on the network, which domains are being blocked and how often, as well as see the domains which are not blocked and determine which are good candidates to add to the blocked list. Implementing OpenDNS was really easy. Their onboarding experience was very straightforward. Previously we had been using Google DNS and noticed slowness at times. Over the years I have felt less interested in using Google services, so moving to different DNS was a nice win. 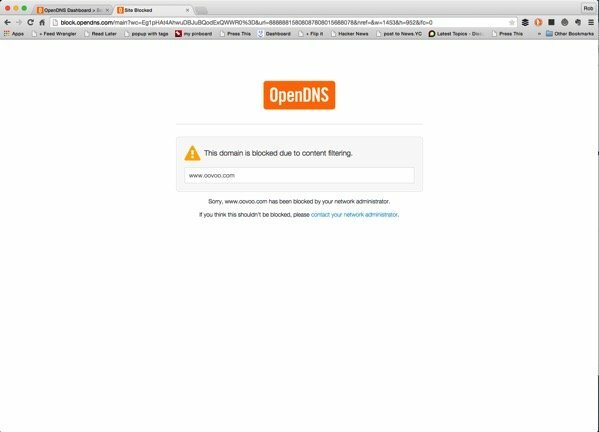 Using OpenDNS seems to give us really fast name resolution but more importantly websites are being blocked that are not fit for young eyes. It also lets a data geek have good insight into all the domains we access daily and find more candidates to block. 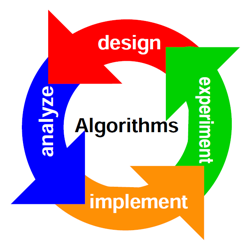 I came across a great book on Algorithms?based on a course taught at Berkeley and U.C. San Diego and wanted to share with readers. ?As a computer scientist, Algorithms are one of the most fundamental elements of our trade. Playing on the strengths of our students (shared by most of today’s undergraduates in?Computer Science), instead of dwelling on formal proofs we distilled in each case the crisp?mathematical idea that makes the algorithm work. In other words, we emphasized rigor over?formalism. We found that our students were much more receptive to mathematical rigor of?this form. It is this progression of crisp ideas that helps weave the story. Once you think about Algorithms in this way, it makes sense to start at the historical beginning?of it all, where, in addition, the characters are familiar and the contrasts dramatic:?numbers, primality, and factoring. This is the subject of Part I of the book, which also includes?the RSA crypto system, and divide-and conquer algorithms for integer multiplication,?sorting and median nding, as well as the fast Fourier transform. There are three other parts:?Part II, the most traditional section of the book, concentrates on data structures and graphs;?the contrast here is between the intricate structure of the underlying problems and the short?and crisp pieces of pseudocode that solve them. Instructors wishing to teach a more traditional?course can simply start with Part II, which is self contained (following the prologue),?and then cover Part I as required. In Parts I and II we introduced certain techniques (such?as greedy and divide-and-conquer) which work for special kinds of problems; Part III deals?with the ?sledgehammers? of the trade, techniques that are powerful and general: dynamic?programming (a novel approach helps clarify this traditional stumbling block for students)?and linear programming (a clean and intuitive treatment of the simplex algorithm, duality,?and reductions to the basic problem). The nap Part IV is about ways of dealing with hard?problems: NP-completeness, various heuristics, as well as quantum algorithms, perhaps the?most advanced and modern topic. As it happens, we end the story exactly where we started?it, with Shor’s quantum algorithm for factoring. The examples are fantastic and very inclusive, ranging from Fibonacci and sorting to graphs, NP-completeness and Quantum algorithms. ?The book is 336 pages and has something for everyone. There’s a lot of math combined with some fine pseudo-code but don’t be dissuaded. Lots to learn, ponder and apply. ??Enjoy! I watched the Google I/O keynote, suspecting the leaks were right about the Nexus 7 tablet and they turned out to be true. I got in the queue for one of these and have been using mine since the middle of July. ?The short version is; this is a fantastic device that I love to use. I am an owner and user of all the Apple iPads. ?Since the first version these have been my primary means of content consumption beyond my Mac Pro and MacBook Air. ?The iPad is a great size for sitting on the coach and catching up on reading, surfing the web or responding to emails. ?In general, I use the iPad more than I do my MacBook Air when sitting around at night. ?The real exception, when I need to write something lengthy and I want more of a touch typing experience. I do own a Kindle 4 and we have a Kindle Fire in the house. 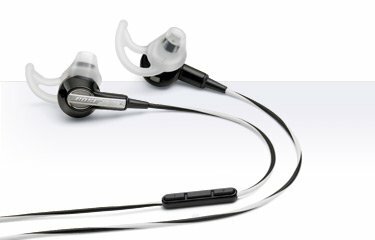 ?These are also great devices but they tend to be Amazon content consumers and not a general device. ?Honestly, not used much since the iPad has the Kindle application. I would call this device the same size as the Kindle Fire. ?It’s nice when you have the latest cutting-edge device, one that ships with a Quad-core Tegra 3 processor, 1 G of RAM and an amazing 12-core GPU?and runs the latest Android Jelly Bean v4.1. ?It’s just plain fast. I don’t play many games but I do use some graphic intensive applications, mainly related to astronomy and rendering star charts. ?Using these apps on this device, the rendering is extremely smooth. One thing I like about my Kindle 4 is the battery life, it lasts forever. ?The battery life reported on the Nexus 7 is 10 hours for most tasks but I think it is longer. ?I use the device a lot, I mean a lot and I am only charging once or twice a week. ?Not exactly scientific but it lasts a long time. There is a lot to be pleased with in the hardware and overall presentation. Did I mention it’s fast? ?Oh yes, it is fast. There lots of software that run on it already and done very well. ?Flipboard, Kindle and Instapaper are great examples. Nice controls, consistent and non-hardware except for volume controls. 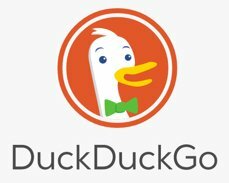 Great integration with Google Play. ?It’s easy to get applications, videos and music. Video play is really smooth. Text rendering is really sharp and smooth. ?This one bothers me on pre-retina iPads. ?The text in the Kindle app is not as nice as it could be. ? There is always a few issues with anything new and the Nexus has a few, some are probably my lack of understanding and are not even Nexus 7 specific. Not all of the applications I use on the iPad are available on the device, but it will get better. Not all of the applications I found for Android run on this device, will also get better. ? When using the browser, the fonts are often so small that their hard to read and I have to zoom in. WiFi-only – I own 3G iPads and I never have to worry about having an Internet connection but with this device I do. ?Not huge, but a factor. Orientation is locked by default. ?I lived with this until I figured out that it could easily be turned off.? Headphone jack on the bottom, wish it was on the top. I love the Nexus 7, it fits nicely into my collection of devices. ?Devices I actually use. I have been critical of the other Android tablets I played around with, too many have iPad envy. 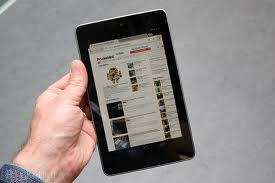 ?The Nexus 7 is trying to be its own device in its own form factor, one that is a nice size. I’m looking forward to the next version of this, maybe one with 3G so I can keep the Nexus 7 with me and use it for navigation. ?I use my iPad this way today, and it’s just a bit too big. Scott Hanselman had a great piece of the weekend about controlling your content destiny by blogging more and “tweeting” less. ? I use “tweeting” as the generic term for putting content on social networks like Twitter, Facebook and Google+. In the past year or so I admit to blogging less and “tweeting” more. ?I spend a fair amount of time on Twitter and an increasing amount on Google+, but the truth is, Scott is right and those places don’t care about me at all.? You are not blogging enough. ?You are pouring your words into increasingly closed and often walled gardens. You are giving control – and sometimes ownership – of your content to social media companies that will SURELY fail. These companies are?profoundly overvalued,?don’t care about permalinks,?don’t make your content portable, and have?terms of service that are so complex and obtuse that there are entire websites dedicate to explaining them. I think the reason blogging is in decline is because sharing a thought is so much easier on Twitter. ?In 140 characters you can get a thought out and be done. ?Blogging is a craft which takes some to evolve the thought into something someone else might want to read.? Twitter cares only about Twitter which is shown by their recent announcement of upcoming API changes which mainly stick it to developers. ?Pay-for social networks like App.net are popping up which claim to allow users to keep their content. ?I’m sorry, but no way I am forking out $50 for a Twitter clone. ? Also remember, blog for yourself, not for the audience. ?Say what you want to say because it’s your soapbox to do so. ?Blog on.